Born in 1541 in either the village of Fodele or Candia (the Venetian name of Chandax, present day Heraklion) in Crete, El Greco was descended from a prosperous urban family, which had probably been driven out of Chania to Candia after an uprising against the Venetians between 1526 and 1528. El Greco's father, Georgios Theotokopoulos (d. 1556), was a merchant and tax collector. Nothing is known about his mother or his first wife, a Greek woman. El Greco's older brother, Manoussos Theotokopoulos (1531 - December 13, 1604), was a wealthy merchant and spent the last years of his life (1603-1604) in El Greco's Toledo home. El Greco received his initial training as an icon painter of the Cretan school, the leading centre of post-Byzantine art. In addition to painting, he probably studied the classics of ancient Greece, and perhaps the Latin classics also; he left a "working library" of 130 books at his death, including the Bible in Greek and an annotated Vasari. Candia was a center for artistic activity where Eastern and Western cultures co-existed harmoniously, where around two hundred painters were active during the 16th century, and had organized a painters' guild, based on the Italian model. In 1563, at the age of twenty-two, El Greco was described in a document as a "master" ("maestro Domenigo"), meaning he was already a master of the guild and presumably operating his own workshop. Three years later, in June 1566, as a witness to a contract, he signed his name as Master Menegos Theotokopoulos, painter. Most scholars believe that the Theotocopoulos "family was almost certainly Greek Orthodox", although some Catholic sources still claim him from birth. 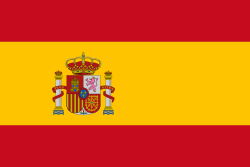 Like many Orthodox emigrants to Europe, he apparently transferred to Catholicism after his arrival, and certainly practiced as a Catholic in Spain, where he described himself as a "devout Catholic" in his will. The extensive archival research conducted since the early 1960s by scholars, such as Nikolaos Panayotakis, Pandelis Prevelakis and Maria Constantoudaki, indicates strongly that El Greco's family and ancestors were Greek Orthodox. One of his uncles was an Orthodox priest, and his name is not mentioned in the Catholic archival baptismal records on Crete. Prevelakis goes even further, expressing his doubt that El Greco was ever a practicing Roman Catholic. Crete having been a possession of the Republic of Venice since 1211, it was natural for the young El Greco to pursue his career in Venice. Though the exact year is not clear, most scholars agree that El Greco went to Venice around 1567. Knowledge of El Greco's years in Italy is limited. He lived in Venice until 1570 and, according to a letter written by his much older friend, the greatest miniaturist of the age, the Croatian Giulio Clovio, was a "disciple" of Titian, who was by then in his eighties but still vigorous. This may mean he worked in Titian's large studio, or not. Clovio characterized El Greco as "a rare talent in painting". In 1570 El Greco moved to Rome, where he executed a series of works strongly marked by his Venetian apprenticeship. It is unknown how long he remained in Rome, though he may have returned to Venice (c. 1575-1576) before he left for Spain. In Rome, on the recommendation of Giulio Clovio, El Greco was received as a guest at the Palazzo Farnese, which Cardinal Alessandro Farnese had made a centre of the artistic and intellectual life of the city. There he came into contact with the intellectual elite of the city, including the Roman scholar Fulvio Orsini, whose collection would later include seven paintings by the artist (View of Mt. Sinai and a portrait of Clovio are among them). By the time El Greco arrived in Rome, Michelangelo and Raphael were dead, but their example continued to be paramount and left little room for different approaches. Although the artistic heritage of these great masters was overwhelming for young painters, El Greco was determined to make his own mark in Rome defending his personal artistic views, ideas and style. He singled out Correggio and Parmigianino for particular praise, but he did not hesitate to dismiss Michelangelo's Last Judgment in the Sistine Chapel; he extended an offer to Pope Pius V to paint over the whole work in accord with the new and stricter Catholic thinking. When he was later asked what he thought about Michelangelo, El Greco replied that "he was a good man, but he did not know how to paint". And thus we are confronted by a paradox: El Greco is said to have reacted most strongly or even condemned Michelangelo, but he had found it impossible to withstand his influence. Michelangelo's influence can be seen in later El Greco works such as the Allegory of the Holy League. By painting portraits of Michelangelo, Titian, Clovio and, presumably, Raphael in one of his works (The Purification of the Temple), El Greco not only expressed his gratitude but advanced the claim to rival these masters. As his own commentaries indicate, El Greco viewed Titian, Michelangelo and Raphael as models to emulate. In his 17th century Chronicles, Giulio Mancini included El Greco among the painters who had initiated, in various ways, a re-evaluation of Michelangelo's teachings. Because of his unconventional artistic beliefs (such as his dismissal of Michelangelo's technique) and personality, El Greco soon acquired enemies in Rome. Architect and writer Pirro Ligorio called him a "foolish foreigner", and newly discovered archival material reveals a skirmish with Farnese, who obliged the young artist to leave his palace. On July 6, 1572, El Greco officially complained about this event. A few months later, on September 18, 1572, El Greco paid his dues to the Guild of Saint Luke in Rome as a miniature painter. At the end of that year, El Greco opened his own workshop and hired as assistants the painters Lattanzio Bonastri de Lucignano and Francisco Preboste. In 1577, El Greco emigrated first to Madrid, then to Toledo, where he produced his mature works. At the time, Toledo was the religious capital of Spain and a populous city with "an illustrious past, a prosperous present and an uncertain future". In Rome, El Greco had earned the respect of some intellectuals, but was also facing the hostility of certain art critics. During the 1570s the huge monastery-palace of El Escorial was still under construction and Philip II of Spain was experiencing difficulties in finding good artists for the many large paintings required to decorate it. Titian was dead, and Tintoretto, Veronese and Anthonis Mor all refused to come to Spain. Philip had had to rely on the lesser talent of Juan Fernandes de Navarrete, whose gravedad y decoro ("seriousness and decorum") the king approved. However, he had just died in 1579; the moment should have been ideal for El Greco. Through Clovio and Orsini, El Greco met Benito Arias Montano, a Spanish humanist and agent of Philip; Pedro Chacon, a clergyman; and Luis de Castilla, son of Diego de Castilla, the dean of the Cathedral of Toledo. El Greco's friendship with Castilla would secure his first large commissions in Toledo. He arrived in Toledo by July 1577, and signed contracts for a group of paintings that was to adorn the church of Santo Domingo el Antiguo in Toledo and for the renowned El Espolio. By September 1579 he had completed nine paintings for Santo Domingo, including The Trinity and The Assumption of the Virgin. These works would establish the painter's reputation in Toledo. El Greco did not plan to settle permanently in Toledo, since his final aim was to win the favor of Philip and make his mark in his court. Indeed, he did manage to secure two important commissions from the monarch: Allegory of the Holy League and Martyrdom of St. Maurice. However, the king did not like these works and placed the St Maurice altarpiece in the chapter-house rather than the intended chapel. He gave no further commissions to El Greco. The exact reasons for the king's dissatisfaction remain unclear. Some scholars have suggested that Philip did not like the inclusion of living persons in a religious scene; some others that El Greco's works violated a basic rule of the Counter-Reformation, namely that in the image the content was paramount rather than the style. Philip took a close interest in his artistic commissions, and had very decided tastes; a long sought-after sculpted Crucifixion by Benvenuto Cellini also failed to please when it arrived, and was likewise exiled to a less prominent place. Philip's next experiment, with Federigo Zuccaro was even less successful. In any case, Philip's dissatisfaction ended any hopes of royal patronage El Greco may have had. Lacking the favor of the king, El Greco was obliged to remain in Toledo, where he had been received in 1577 as a great painter. According to Hortensio Felix Paravicino, a 17th-century Spanish preacher and poet, "Crete gave him life and the painter's craft, Toledo a better homeland, where through Death he began to achieve eternal life." In 1585, he appears to have hired an assistant, Italian painter Francisco Preboste, and to have established a workshop capable of producing altar frames and statues as well as paintings. On March 12, 1586 he obtained the commission for The Burial of the Count of Orgaz, now his best-known work. The decade 1597 to 1607 was a period of intense activity for El Greco. During these years he received several major commissions, and his workshop created pictorial and sculptural ensembles for a variety of religious institutions. Among his major commissions of this period were three altars for the Chapel of San Jose in Toledo (1597-1599); three paintings (1596-1600) for the Colegio de Dona Maria de Aragon, an Augustinian monastery in Madrid, and the high altar, four lateral altars, and the painting St. Ildefonso for the Capilla Mayor of the Hospital de la Caridad (Hospital of Charity) at Illescas (1603-1605). The minutes of the commission of The Virgin of the Immaculate Conception (1607-1613), which were composed by the personnel of the municipality, describe El Greco as "one of the greatest men in both this kingdom and outside it". 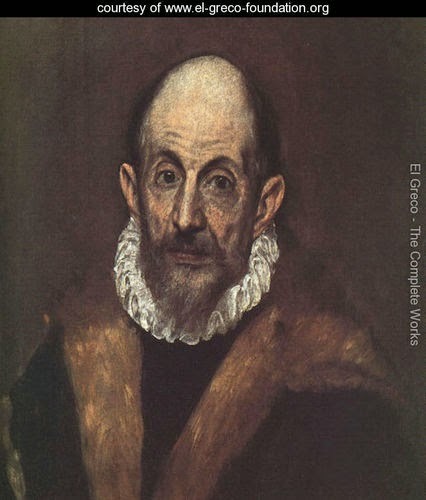 Between 1607 and 1608 El Greco was involved in a protracted legal dispute with the authorities of the Hospital of Charity at Illescas concerning payment for his work, which included painting, sculpture and architecture;i] this and other legal disputes contributed to the economic difficulties he experienced towards the end of his life. In 1608, he received his last major commission: for the Hospital of Saint John the Baptist in Toledo. El Greco made Toledo his home. Surviving contracts mention him as the tenant from 1585 onwards of a complex consisting of three apartments and twenty-four rooms which belonged to the Marquis de Villena. It was in these apartments, which also served as his workshop, that he passed the rest of his life, painting and studying. He lived in considerable style, sometimes employing musicians to play whilst he dined. It is not confirmed whether he lived with his Spanish female companion, Jeronima de Las Cuevas, whom he probably never married. She was the mother of his only son, Jorge Manuel, born in 1578, who also became a painter, assisted his father, and continued to repeat his compositions for many years after he inherited the studio. 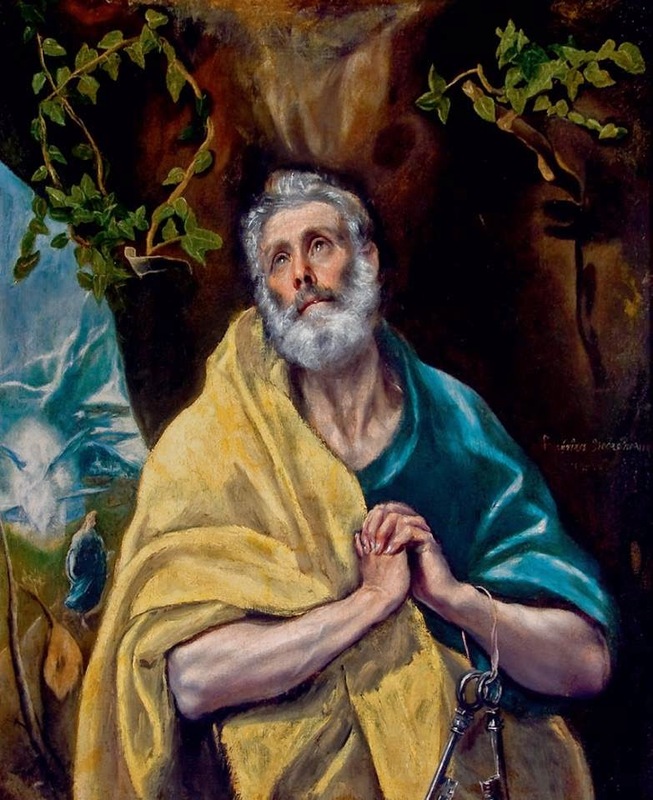 In 1604, Jorge Manuel and Alfonsa de los Morales gave birth to El Greco's grandson, Gabriel, who was baptized by Gregorio Angulo, governor of Toledo and a personal friend of the artist.